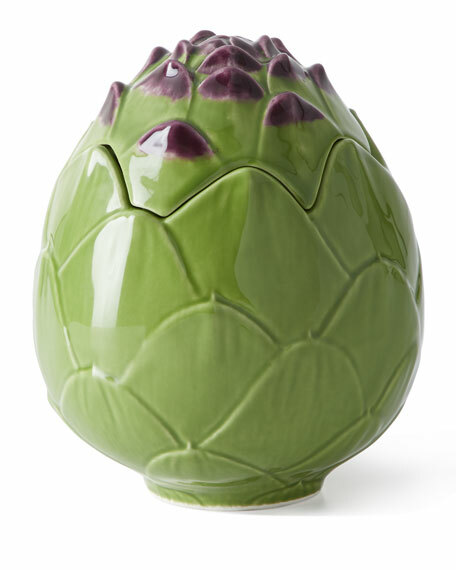 Bordallo Pinheiro Artichoke Box, 5.3"
A new Bordallo Pinheiro collection of naturalistic tableware and giftware that perpetuates and reinvents the legacy of the brand's founder, bringing nature, humor and joy to the table. Naturalistic theme, both in texture and in organic form. Hand-painted pieces, each piece being unique.